Great article about visiting Albania ! 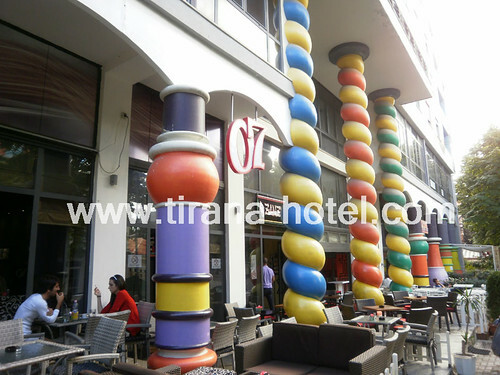 It has covered all the details you might need when considering to travel to Albania. Unbiased, informative, completed, enthusiastic and written with love, so being an Albanian travel agency we can just say, thank you very much! We will be honored to assist you experiencing Albania as it is described in this article of BootsnAll. today is the lek, and the exchange rate between it and other major world currencies alone should be enough to draw hoards of international tourists to Albania. dollars. So that 80 lek ice cream cone? That will set you back about 75 cents. That 1,800 lek double occupancy ensuite hotel room with a view of the beach in Vlora? It’s a bargain at just under $17. And that dinner of steamed mussels and a bottle of Albanian white wine for two on the beach in Ksamili? At about 600 lek, you’ll be spending approximately six dollars total. Beer and coffee can often serve as budgetary gauges for international travelers, and you’ll be happy to hear that it’s rare to pay over a dollar for either (usually closer to 45 cents for the coffee), provided that you go for the typical Albanian bottled beer or a shot of the strong, thick espresso that the locals drink. sandy spots to pick from. Dhermi, Himara, and Ksamili are some of the names that one might uncover with an online search or a peek into a guidebook, and they are all beautiful. A lot of the bigger coastal cities like Saranda and Vlora also have beaches accessible on foot from the city center, though I’d recommend skipping the city beaches as they are usually a bit dirty, very developed, and quite busy. Traveling a bit outside of the cities (particularly heading south out of town) is a surefire way to find some beautiful beaches that are less crowded and cleaner, but still easy to reach by taxi or bus. pictured above (a personal favorite, known as Aquarium) are just waiting to be discovered, and intrepid travelers are sure to have their curiosity rewarded if they choose to hop off the bus or wander down a dusty goat path in search of something a bit different. locations of a lot of beaches you won’t find described elsewhere on the internet, including Aquarium. Many of these locations won’t be reachable by public transit, and some of them might even require a bit of hiking to get to, but knowing where they are and having an idea of which stretches of coastline are the most promising will increase your chances of visiting one of the country’s most spectacular beaches. Ismail Qemali spill out into the largely pedestrianized roads, offering comfortable outdoor lounge areas that all seem brand new and impeccably clean, contrasting starkly with the city’s more run-down neighborhoods and crowded main roads. Even in the flashier establishments, drink prices remain reasonable and the crowds laid back. Other destinations, such as the “museum cities” of Berat and Gjirokastra, provide a peek into the finer moments of Albania’s history through their winding cobblestone streets and well-preserved Ottoman architecture. Even if the lively nightlife and lovely historical charm of Albania’s cities isn’t enough to draw you in, you’ll have a hard time avoiding them if you’re traveling by bus or furgon. The flexibility and frequency of departures and arrivals makes quick visits to the different cities possible, so it’s easy to stop in Saranda for lunch, or spend a few hours checking out Berat’s charming cobblestone backroads before getting back on the road. Albania’s public transportation system is mind-boggling at fist, but once you get a hang of it, you’ll realize that the spontaneous, slightly unorganized nature of it all makes it extremely favorable for impromptu travels and unplanned side trips. more limited than the furgons, which are basically large vans that start their routes earlier and end later than the buses do. Furgon drivers have a reputation for going very fast and not always following the rules of the road, but if you’re looking to get somewhere quick, hop on a furgon (and hope it has seatbelts). barrage of helpful drivers, all yelling out their destination city, which makes finding the right bus pretty easy. It’s also good to know that you can get on and get off where you like, so if you see the bus or van you want driving by, flag it down! They’ll stop if there’s room for you. And if you’re on the bus and you spot a pretty beach or nice little town, just shout and they’ll let you off. This makes it easy to be spontaneous while traveling in Albania, but keep an eye on the clock, because it gets harder to grab a ride as the day goes on and you might find yourself stranded if you wait until early evening to look for a furgon. This unofficial schedule provides a loose idea of when buses leave from the major cities. pick-up gets more complicated, so keep that in mind when visiting destinations off the main roads. Hitchhiking is very common for locals as well as tourists, so in more remote areas, including the road leading to the Blue Eye, don’t be surprised if you’re offered a ride, even if you’re not holding up your thumb. trip were genuinely interested in why I was visiting their country and where I came from, which is a welcome change from the reception that many travelers receive in the more heavily visited tourist destinations of the world. phone to tell them that she had met two Californians on the bus. It was an experience that I had never had on my travels before and haven’t had since, and it certainly helped to take my mind off the five hours I spent on a rickety old bus between Tirana and Vlora. the occasional drawing. In general, people were patient and extremely helpful with my attempts to communicate, and putting the extra effort into talking with locals provided me with some of the more memorable moments of my trip, though brushing up on a few key Albanian words would be helpful, if you can manage the tricky pronunciation. way. The drive from Vlora to Dhermi is particularly enjoyable, offering vistas of the wild Karaburun peninsula across the Bay of Vlorë, as well as lagoons, beaches, and the heavily wooded national park that lies just south of the city. But while the great views and pretty scenery are basically unavoidable, other places will need to be sought out. One of those places is known as the Blue Eye. It’s called Syri i Kaltër in Albanian, but locals will recognize the name in English. Located just outside of Saranda on the way to Gjirokastra, the Blue Eye is a freezing cold underwater spring with an unbelievable sapphire color. The river that flows downward from the spring is some of the clearest, cleanest water you will ever see, and just laying eyes on the thousands of gallons of ice cold water gushing out of the center of the Eye is worth the trek it takes to get there. plan to stay the night at the rustic hotel near the spring. The restaurant and bar located alongside the river serves excellent roasted lamb ribs and cold beer, so bring your appetite and prepare to take in some of the most incredible scenery you’ve ever seen while chowing down on a local specialty. Due to its largely Muslim population, lamb is often the meat of choice on Albanian menus, and the spit-roasted variety is a favorite in many Albanian cities. Other meats are frequently available, but the lamb is good and almost always locally raised, so it’s definitely worth a try. Coastal cities offer a plethora of fresh, local seafood, often pulled right out of the water. If you can figure out how to ask or gesture, it’s a good idea to ask to see the catch of the day. It’s not unusual to get to pick your dinner out of a basket of freshly caught fish, and taking recommendations from the staff is sure to land you a tasty meal. A dinner of fresh fish will usually be the priciest option on the menu, but at a pretty consistent nine dollars per serving, it’s worth the splurge. with olives and homemade feta will probably be one of the most flavorful salads you’ve ever had, wherever you end up ordering it. resemble Greek cuisine, so even if you’ve never eaten at an Albanian restaurant, you’ll probably recognize many of the dishes. Most restaurants won’t have a foreign language menu, so familiarizing yourself with a few key items to order—or avoid, is probably a good idea. Era restaurant in Tirana is an exception, they have an English menu and a huge selection of Albanian specialties and Italian basics, so it’s a great way to get acquainted with what’s on offer throughout the rest of the country. sensitive stomachs might want to be a little more careful and stick to the bottled stuff. And the best part of all—the prices. Eating well in Albania is extremely easy when an entire pizza or plate of risotto costs about four dollars, and a full, fancy meal for two with drinks is easy to come by at under ten. roped-off areas in the fortresses at Porto Palermo or Gjirokastra, where visitors are more than welcome to climb over stone walls and crawl into dark little passages, and in Berat, there are over 200 people still living inside the walls of the city’s old fortress, many in beautifully maintained Ottoman-era homes that offer great views of the river valley below. while spying on the country in the 1950s. The city of Butrint, just outside of Saranda, is home to a spectacular array of ruins spanning a 2,500 year period that includes the Roman era and earlier. In the summer, theatre performances are occasionally held on a wooden stage in the old amphitheatre, which is partially filled with water, but Butrint is a pleasant place to visit any day of the year, and the combination of architectural styles are fascinating, especially if you luck out and get a working archaeologist as your tour guide. A more recent historical relic that you won’t be able to avoid on your travels throughout the country is a reminder of some of the darker moments in Albania’s past. Hundreds of thousands of mushroom-shaped concrete bunkers, installed during communist rule, dot the countryside, a tactic that the government hoped would protect the country in case of an attack from the U.S. or Britain. The bunkers were never really used, but they certainly were well constructed, so the majority of them still stand, nestled into the hills above the main roads or clustered in groups on the beaches. ones, tend to be significantly cheaper than the normal European points of departure like London or Frankfurt, so scheduling a cheap Ryanair flight to a city such as Milan and then continuing on to Tirana can often be the most cost effective option for long haul travelers. can take up to eleven hours, and adding the cost and time it takes to get to the Italian ports, in addition to the long boat ride, can often make flying seem a little more attractive. There is also a ferry from Corfu that sails to Saranda in about half an hour and costs about twenty-five dollars each way. motion sickness, invest in some Dramamine before you make any long-distance drive in Albania. There are ATMs all over Tirana and in the other larger cities as well. Smaller destinations like Dhermi do not have ATMs or banks at all, and paying with a credit card will be nearly impossible almost anywhere in the country outside of the fanciest hotels in the capital. It’s a good idea to keep a significant amount of cash on you, and small bills are preferable. The first cash machine that most visitors will encounter is in the airport, and drawing lek from the machines with a foreign ATM or debit card isn’t any different than in other international destinations, and is probably the most economical and reliable way of changing your money. In visiting the cities, a guidebook or some kind of map will come in handy, though the use of street names is inconsistent and many hotels will rely on landmarks for directions instead of actual street names and addresses. In some of the smaller cities, it is rare to ever see a street sign, but having an idea of the lay of the land will be helpful in your attempts to navigate. English-speaking staff who are incredibly helpful and will gladly give you all the advice you need on what to see and where to go while you are in the country. They have other locations throughout Albania as well, and the 12-euro rate is a deal considering all the help they’ll be able to provide, plus free wi-fi and one euro beers at the little bar in the back.